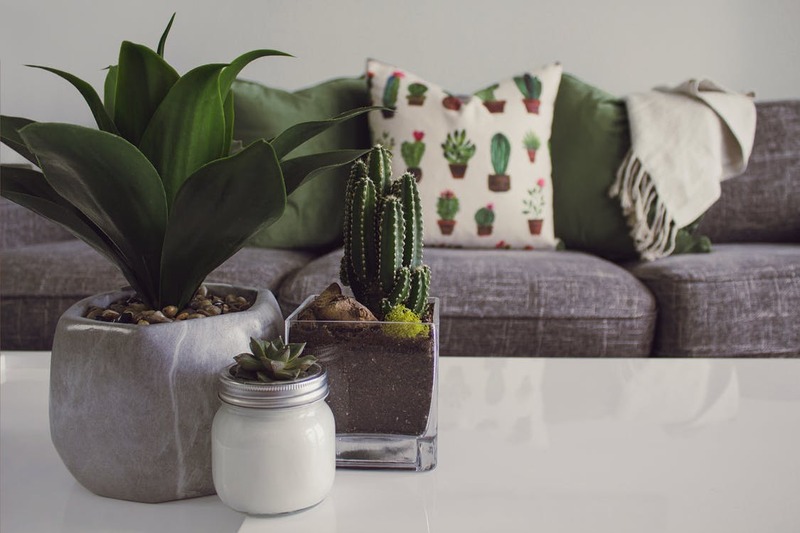 Decorating an apartment is no easy task, but it gets a little easier when you're decorating a luxurious space like the one at your apartments in Spring. Here at Rise Spring Cypress, we think it’s always a good time to think about redecorating. Every home should be freshened up every once in awhile, especially when the seasons are changing and you’re using your apartment differently. In the summer, your apartment is your escape from the sweltering Texas heat. It should be bright, airy, and colorful. You should be able to appreciate the gorgeous weather even when you’re hiding from the heat inside your apartment. We want to help our residents discover their perfect apartment decor style, so we’ve decided to share some tips with y’all in the post below! These tips should help you add decor to your walls, maximize your floor space, and make the most of your luxurious new home. Check out the post below, and please be sure to share the link to this page with your friends and neighbors at your community of apartments near Spring. Reflective materials — whether it be mirrors or metallices — will help spread light around your apartment. Lighting up dark corners of your apartment will make your space seem more open, and that’s the exact look you should go for in the summer. Try to find unique mirrors next time you’re out shopping, and add them to your walls wherever you have room! Short, squat pieces take up a lot of floor space. Tall, narrow pieces, on the other hand, take up less floor space while giving your more storage. Having tall and narrow pieces is especially important when you’re buying shelves, dressers and entertainment centers. Tall pieces also draw people’s eyes upwards, which will make your apartment seem more spacious! Give it a shot and enjoy the results. Creating depth is the key to making your apartment seem spacious. Mirrors add depth, but so do layers. When we say layers, we’re talking about layered blankets, throw pillows, and patterns. The more you have, the more visual depth your apartment will have! As much as we’d love it, we understand that you’re not going to live in one apartment at Rise Spring Cypress forever. With that in mind, we encourage you to buy furniture that can fit in multiple spaces. That massive sofa might fit perfectly in your current space, but it’s unlikely that it will make sense in a new space. The more versatile your furniture, the better. Keep that in mind next time you’re strolling through the aisles at IKEA! With that, we’ve reached the end of our list of apartment decorating tips. As always, we appreciate those of you that have been coming back week after week to read the latest new blog posts from Rise Spring Cypress. If we’ve done our job, this week’s post should help you turn your apartment into your dream home in no time. We’ll be back in a couple weeks with another new post for y’all, so be sure to bookmark our blogs page so you can easily check it again when the next post goes live on the site! While you wait for that post to go live, you can stay informed about everything happening at Rise Spring Cypress by following us on social media! That way, you’ll be among the first to know about events, promotions and giveaways going on at Rise Spring Cypress — the new apartments Spring, TX residents choose for upscale comfort and style!